For the eighth time SevenVentures honours the most innovative start-up with prestigious media prize. Selfapy wins €3 million in TV advertising, online marketing volume worth €200,000, €30,000 for the development of a TV commercial and a mentoring programme from Procter & Gamble. Cologne, 12 September 2018 – Selfapy has won this year’s SevenVentures Pitch Day. The start-up that offers scientifically-proven online therapy courses for stress, sleep disorders, depression, anxiety and eating disorders, emerged victorious after two rounds against strong competition to secure a lucrative multi-million Euro media package. 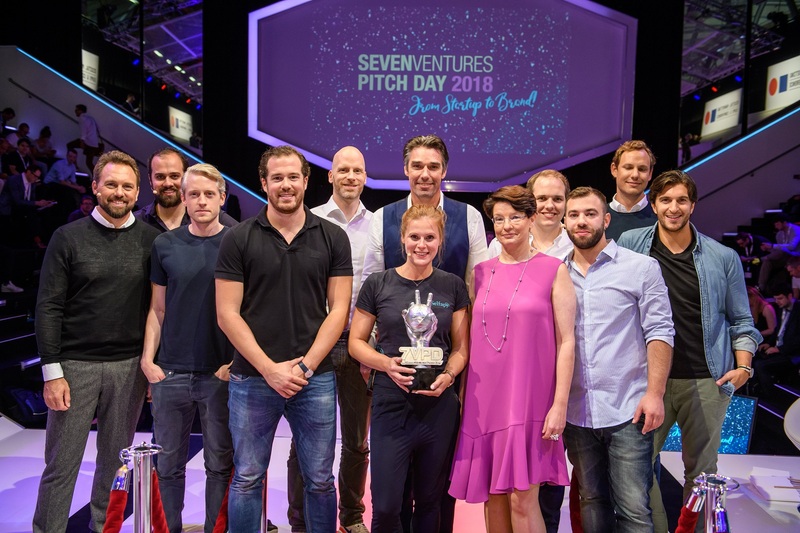 This is the eighth time that SevenVentures, the investment arm of the ProSiebenSat.1 Group, hosts the prestigious competition for founders. Farina Schurzfeld, founder of Selfapy: "By winning SevenVentures Pitch Day, we can finally reach the mass audience and take our business to the next level. We are thrilled and excited to see our first spot on TV in the near future." Florian Pauthner, Managing Director of SevenVentures, is looking forward to the future partnership: „Selfapy features everything we've been looking for this year: a unique digital service with a scalable business model.I'm sure we will be able to provide Selfapy the growth boost the company needs now." The famous founder‘s award has already helped numerous companies, including Hafervoll, Withings and GetYourGuide, to make their breakthrough. As this year's winner, Selfapy can look forward to a media package from the ProSiebenSat.1 Group, which, in addition to the multi-million Euro budget for TV advertising, also includes €30,000 for the development of a TV commercial. Furthermore the prize includes €200,000 for online marketing and a four-month mentoring programme from Procter & Gamble, the leading consumer goods company worldwide. Alongside Selfapy, three other start-up companies presented their 2 minute pitches with the aim of convincing the jury -featuring entrepreneur and founder Michael Stich, Procter & Gamble DACH Managing Director Sales Astrid Teckentrup and SevenVentures Co-Managing Directors Dr. Jens Pippig and Florian Pauthner - and the audience of their ideas: yamo makes fresh organic baby food without additives. Edamama stands for delicious food for a healthy lifestyle and works to reinventeveryday foods such as pasta and bread. The Berlin-based start-up Caroobi is an online marketplace for vehicle services such as paint finishes and inspections. Presenter Steven Gätjen greeted the four finalists on the DMEXCO stage as they entered to their chosen walk-on music. The first round saw two battles each featuring two startups. The first semi-final featured yamo and Edamama, the two physical product start-ups,then Caroobi's and Selfapy's two digital services competed against each other.The clear favourites following the vote of the expert jury: Edamama and Selfapy. At the end, Selfapy delivered the most convincing pitch in the competition and prevailed against its competitors.